A Fiesta on the Beach! 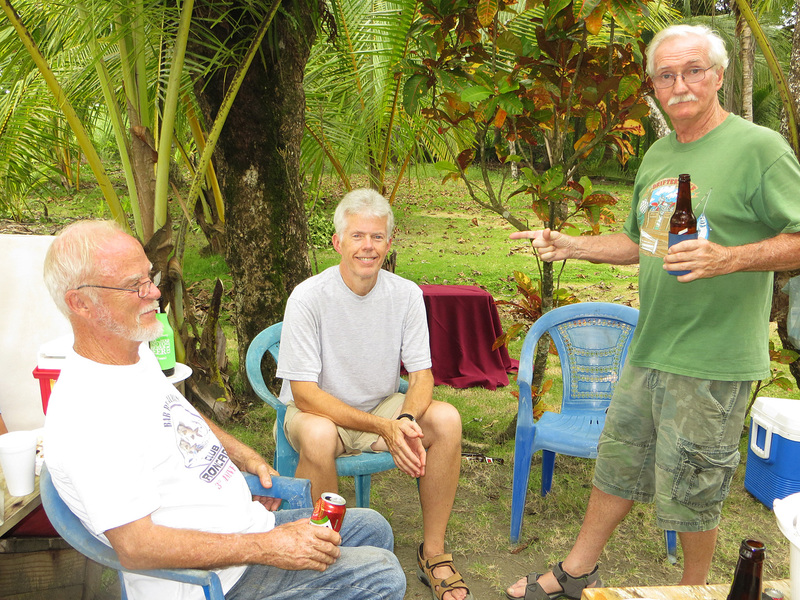 Recently, we were invited to a party on Matapalo Beach where our friends Eddie and Betty live. 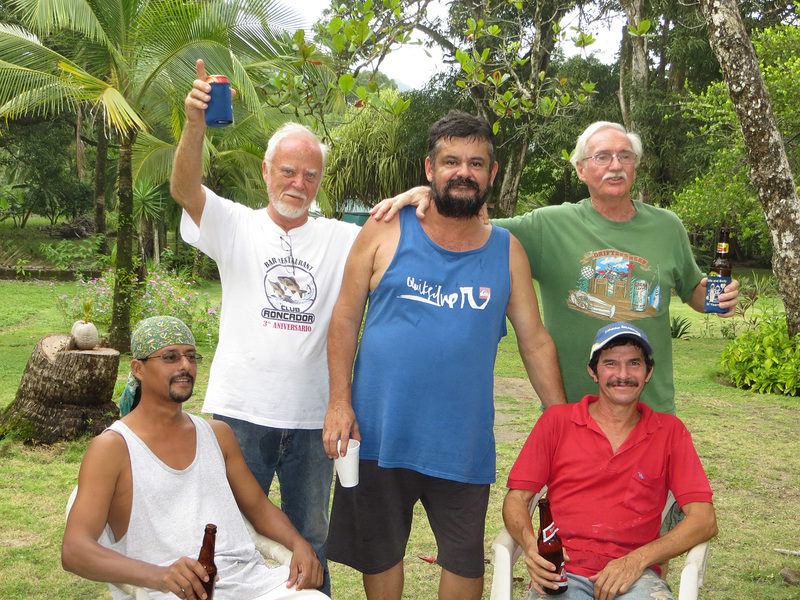 Their friends, Luis and Vaya, who own a restaurant called Club Roncador near Quepos were hosting the party. 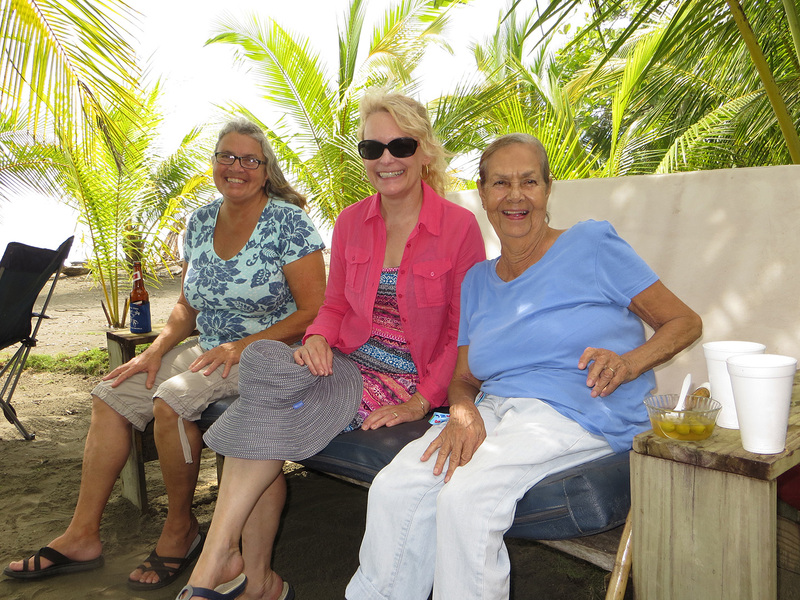 Betty wanted us to meet more locals to practice our Spanish…hence the invitation. She was right, of course. We had a fabulous time! It was a lot of fun meeting new people. The food was wonderful and we all had too much to eat! Turns out that it was a celebration of Luis’s birthday and soon more family and friends arrived to celebrate the big event. Also invited were our neighbors who have a house near our lot. They will be leaving for the States soon, so it was nice to see them again before they leave. 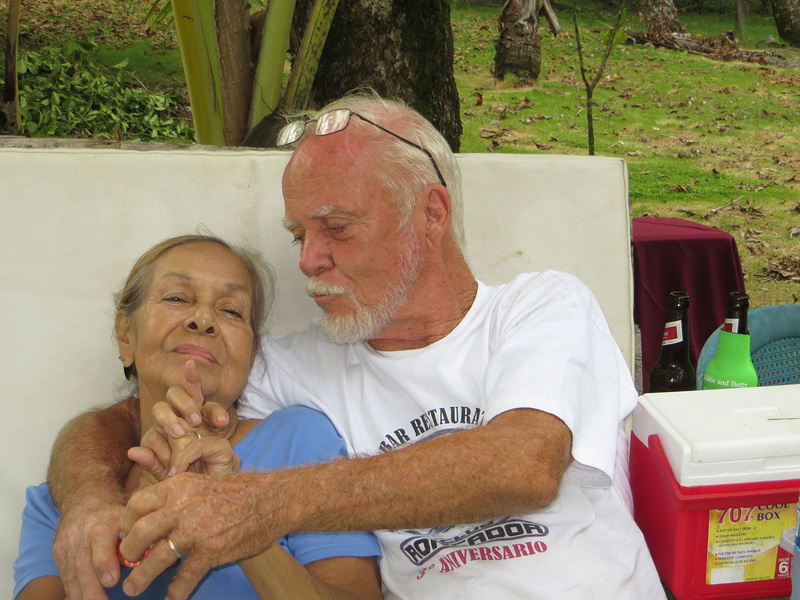 Our friends Betty & Eddie – closing in on 51 years of marriage! 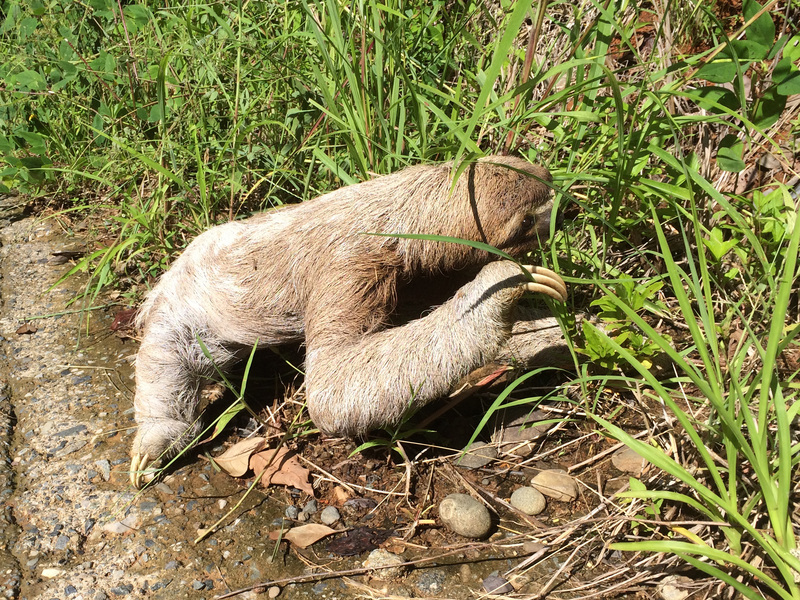 The following day, we were returning from our walk and noticed a three-toed sloth on the road not far from our rental house. 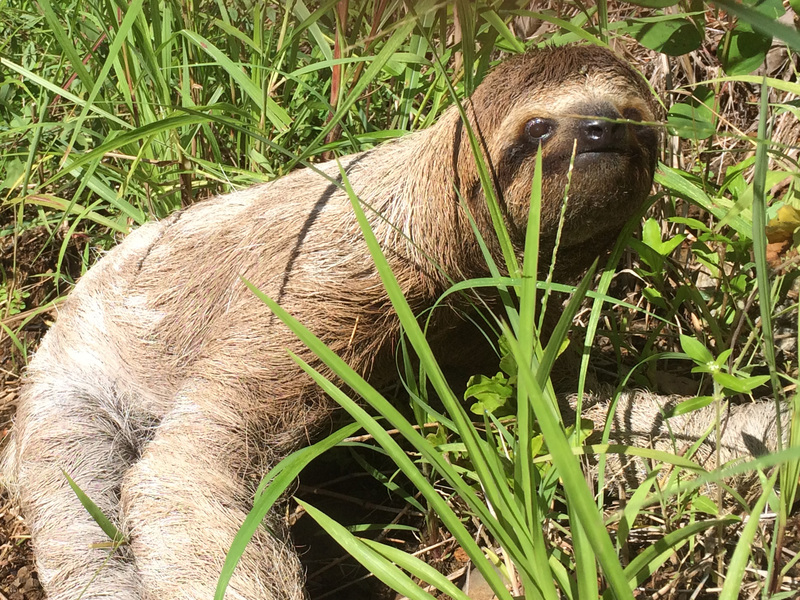 At first glance it looked like a stuffed animal, but we quickly realized it was a sloth. Since it wasn’t moving, we thought it might be dead or injured. As soon as the dogs spotted it, they started barking and getting too close to it. The poor sloth started to move and then we realized it was alive! It started moving pretty fast (for a sloth) as it was trying to hide from the dogs. Sloths are incredibly slow moving animals, but the the dogs scared it. Fortunately, Chiquita and Paloma are well behaved and they backed off when we called them. Finally, the sloth made it into the grass and we didn’t have to worry about it being run over by a car or truck. It’s so nice to have these cool animals in our “backyard”. That is amazing Eddie what happened to him.